The Unicorn Jelly Forum • View topic - Newts New Idea: Child labor laws are "truly stupid". Newt Gingrich proposed a plan Friday that would allow poor children to clean their schools for money, saying such a setup would both allow students to earn income and endow them with a strong work ethic. Speaking at Harvard's Kennedy School of Government, the former House Speaker said his system would be an improvement on current child labor laws, which he called "truly stupid." It is tragic what we do in the poorest neighborhoods, entrapping children in child laws which are truly stupid," Gingrich said. "Saying to people you shouldn't go to work before you're 14, 16. You're totally poor, you're in a school that's failing with a teacher that's failing." Gingrich then proposed a system he said would help those students rise from poverty. Gingrich pointed to successful acquaintances as examples of the benefits of beginning a job early in life. 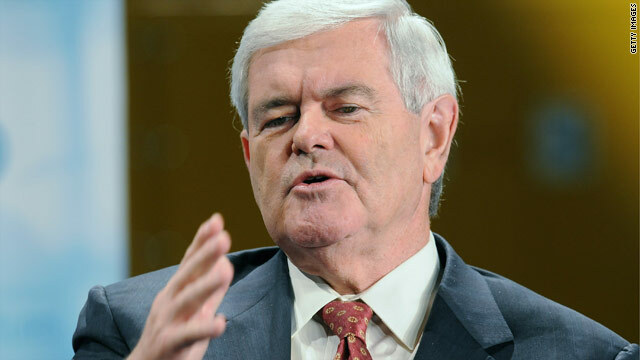 "Go out and talk to people who are really successful in one generation," Gingrich said. "They all started their first job at 9 to 14 years of age. They are selling newspapers, going door to door, washing cars. They were all making money at a very young age. What do we say to poor kids in poor neighborhoods? Don't do it. Remember all the stuff about not getting a hamburger-flipping job? Worst possible advice to give the poor children." Gingrich said his idea would be "making work worthwhile" for children. Re: Newts New Idea: Child labor laws are "truly stupid". Janitor, nothing! Let's chuck 'em back in the coal mines! Alfador wrote: Janitor, nothing! Let's chuck 'em back in the coal mines! Better yet, the USA should go whole hog, remove the min wage, bust all unions, get rid of pesky OSHA and EPA, these things simply get in the way of the job creators. Before you know it, China will outsource to the USA! Childhood - Not for the poor. The guy lives in the past. In the past where you didn't have to learn anything but how to read, and having a college education meant you knew how much is 2+1.